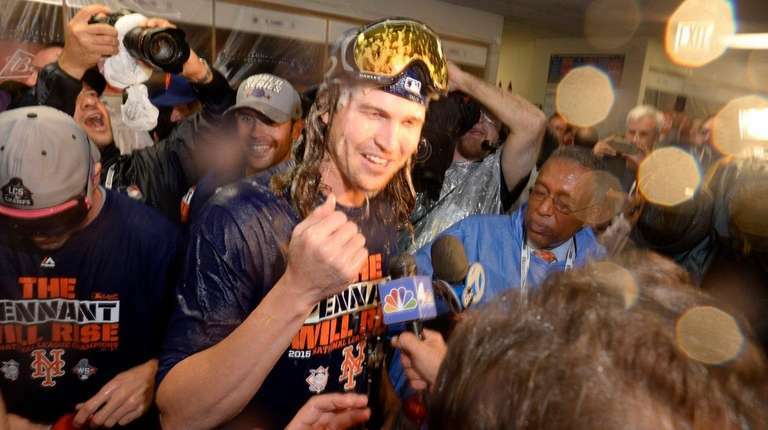 Jacob deGrom has thought about cutting his trademark long, flowing hair but superstitiously reconsidered removing what may be locks of luck after two riveting seasons with the Mets. The 2014 Rookie of the Year and 2015 National League All-Star (he struck out the side on 10 pitches in his only All-Star inning) wants to add “World Series’’ champion to his resume. His career numbers: 23-14 with a 2.61 ERA and 349 strikeouts in 331 1⁄3 innings. When the Mets made him their ninth-round draft choice in 2010, nothing close to that was expected from him. The Mets could have the best rotation in the big leagues, and with that comes big expectations. DeGrom has spent part of the offseason plotting ways to cut down on his pitch count so he can go deeper in games, but the best part of his routine comes late in the afternoon when he plays catch with his father, Tony, at his parents’ home. It’s a ritual that deGrom looks forward to recreating with his own son. His birth is expected April 5, when the Mets are scheduled to play their second game of the season against the Royals in Kansas City.